Imagine enjoying your morning coffee taking in some of the best views Victoria has to offer. 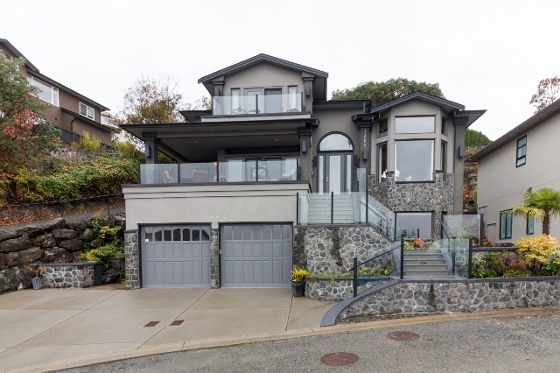 This 2008 custom home was built for you to enjoy the city, ocean and mountain views. Offering over 4400sq ft of livable space, you’ll be impressed by the cooks kitchen w/ eating bar, top of the line appl, built in wine fridge, & Jeld-Wen wood windows. Upper level offers huge master w/ ensuite & balcony, separate walk in closet & 2BR. Lower level offers 1BR suite, wine cellar, 2 car garage & workshop. A large front deck, perfect for entertaining and showing off the amazing views. The backyard also features large patio with gas firepit. Stunning outlooks from all principle rooms. You do not want to miss this one. Come and enjoy the view. Call Today!